This beautiful garden does hard work 24/7 to greet visitors to the Arb while controlling water erosion by holding the fragile banks and creating a beautiful setting for the James D. Reader Jr. Urban Environmental Education Center. The public is welcome in the center, where amenities include restrooms, information, and staff who can assist you. Scroll down for more photos of the Gateway Garden and the Reader Center. Here at the head of School Girls’ Glen the severe erosion is stabilized by a series of rain gardens integrated into a demonstration of New American Design by Oehme van Sweden, the originators of this design movement. The plants are a mixture of familiar garden favorites such as modern carpet roses (Rosa) and sedums (Sedum) with less commonly used natives, for example, sedges (Carex) and blazing stars (Liatris). This is a site worth visiting throughout the year. The Gateway Garden is located at the 1610 Washington Hts. Entrance to Nichols Arboretum. This garden was made possible through generous individual gifts, in-kind business support and University of Michigan funding. 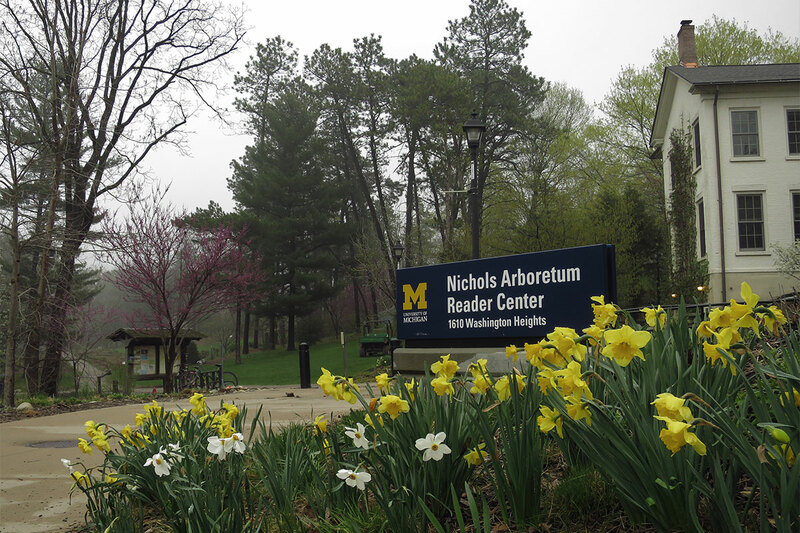 Matthaei Botanical Gardens and Nichols Arboretum needs private support and provides donors with many giving opportunities and recognition. For more details on how you can contribute, please contact Meredith Olson, director of development: merolson@umich.edu; 734.647.7847. 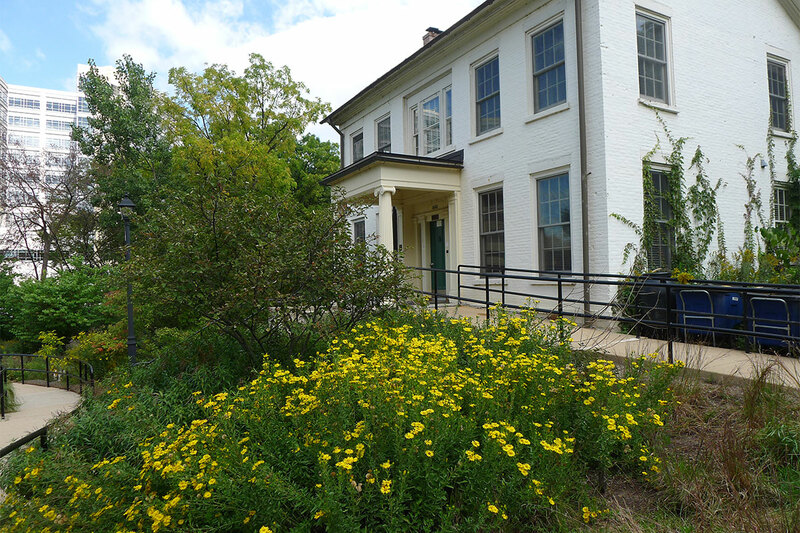 The Gateway Garden at the Reader Center is a living landmark and one of the first things visitors see as they enter Nichols Arboretum at 1610 Washington Hts. The handsome Greek-revival house that sits at the Washington Hts. 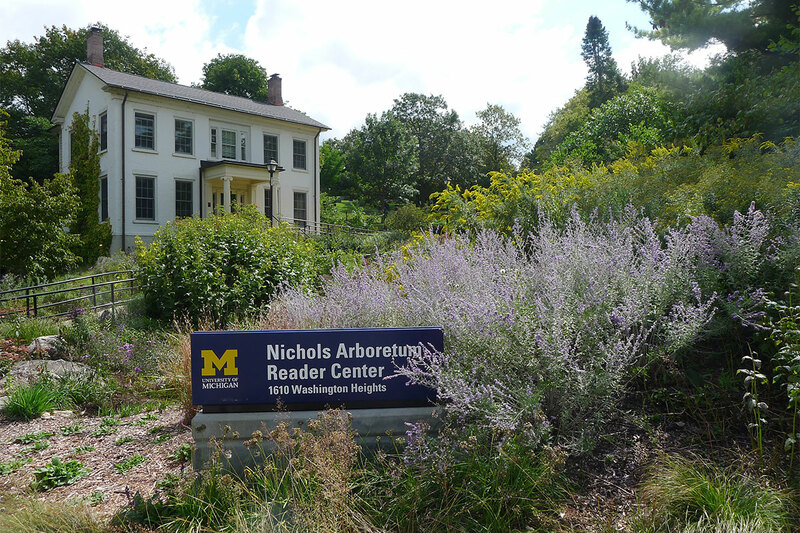 entrance to Nichols Arboretum is one of the oldest houses in Ann Arbor. Nathan Burnham built the house on Wall St.—near what is now the U-M Kellogg Eye Center—in the late 1830s. In 1998 the house was moved from Wall St. to its current location. 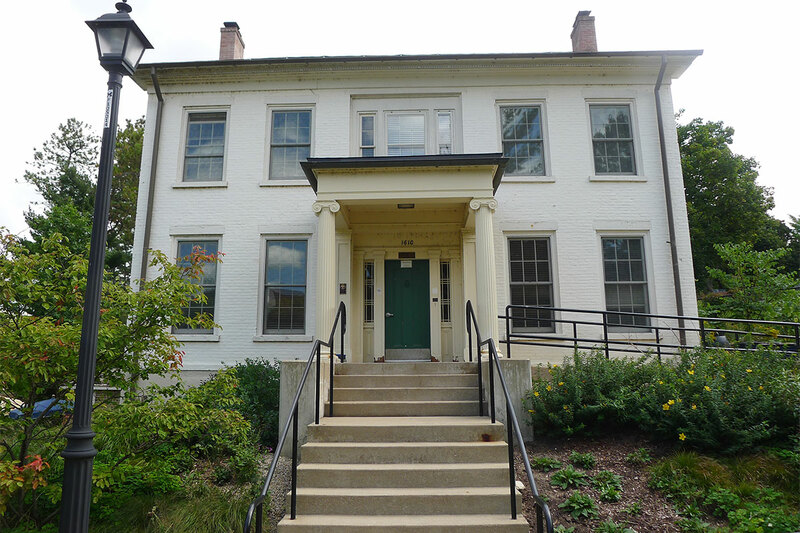 The lower levels contain classrooms and meeting spaces while the top floor is occupied by U-M student caretakers who look after the Arboretum. 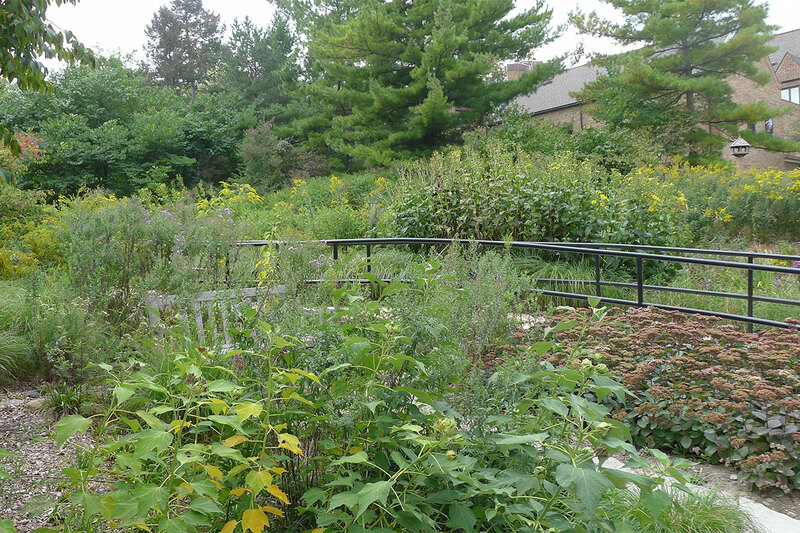 The Gateway Garden at Nichols Arboretum is more than just a pretty face: it looks beautiful throughout the year and also controls erosion with a series of rain gardens that manage water flowing down from the hill above. The Gateway Garden and Reader Center face the Ronald McDonald House and the University of Michigan C. S. Mott Children’s Hospital. While urban noise and intensive development surround it, the Arb remains a peaceful oasis of calming nature within Ann Arbor.